The University of Colorado is the leading institution for the Lunar University Network for Astrophysics Research (LUNAR). 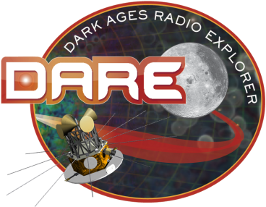 We are conducting a program for research, education and outreach, and community development to advance Astrophysics from the Moon. Led by Dr. Jack Burns (Director) and Dr. Joseph Lazio (Deputy Director). LUNAR's space science team is made up of scientists from all over the country. Led by Director Dr. Jack Burns of the University of Colorado and Deputy Director Dr. Joseph Lazio of JPL (Jet Propulsion Laboratory), LUNAR is poised to continue to advance our knowledge of space science through the studiesof Lunar Laser Ranging, Heliophysics and Astrophysics. LUNAR addresses some of the fundamental questions about the cosmos from the Moon. We have 3 key projects including gravitational physics, heliophysics and cosmology. LUNAR has published over 100 peer reviewed papers since 2008.